PhotoPlus 2017 is just around the corner and with Canon releasing several updated lenses since our last publication of the "oldest" list (as well as discontinuing at least one lens outright), the timing seemed right to re-compute the 10 oldest Canon lens list. The oldest Canon lens currently in production is the EF 100mm f/2 USM, sharing a very similar design and feature set with the substantially-more-popular EF 85mm f/1.8 USM (#3 on the list). As we mentioned in our last 10-oldest list published in 2015, updating the design, adding IS (image stabilization) and improving the optics of each – while keeping prices attractive for the consumer market – would catepult the popularity of these lenses which would ultimately find a home in many photographer's kits, from casual hobbyists to professionals alike. And with the recent addition of the Canon EF 85mm f/1.4L IS USM to the lineup, releasing an updated consumer-grade 85mm option seems like an especially reasonable expectation. The 2nd oldest lens, the Canon EF 20mm f/2.8 USM and the 6th oldest, the EF 28mm f/1.8 USM, are not terribly popular. I think many photographers would be happy with replacing both these lenses with a model that falls in between them in focal length and aperture, which also features IS. For instance, maybe an EF 24mm f/2 IS USM? Then again, Canon already has several 24mm options, so they may not be so keen on adding another one to their lens lineup. The Canon EF 50mm f/1.4 USM ranks 4th and is really starting to show its age, especially in regards to wide-open image quality. If Canon updated their 50mm f/1.4 lens, with improved image quality and IS, the lens would likely fly off the retail shelves. Considering the 50mm focal length's popularity, combined with the current EF 50mm f/1.4's performance, I think this is a great opportunity for Canon to keep its customer base devoted to the brand. The EF 400mm f/5.6L USM ranks 5th on the list, and while its design and lack of IS are certainly indications of its age, it still holds up very well from an image quality perspective. 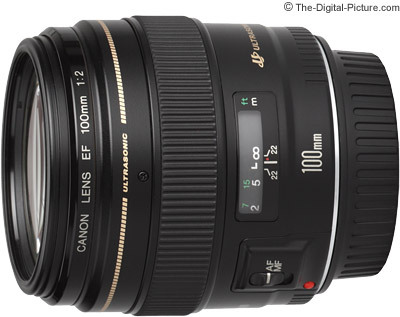 That said, introducing a fully weather sealed update, with IS and possibly a more compact design – keeping the price well below the EF 100-400mm f/4.5-5.6L IS II USM – would make the lens especially attractive for those interested in sports and wildlife photography. The Canon EF 70-200mm f/2.8L USM comes in at #7, and it still holds up fairly well from design and image quality perspectives. However, even though its substantially less than its IS counterpart (now in its second iteration), its never been nearly as popular. That's because IS is extremely beneficial in telephoto lenses, making the higher cost of the IS version of the lens that much more easy to bear for most photographers. In this lens' case, adding IS isn't an option (that's already been done), so the question becomes – Would the lens sell enough copies to justify developing another one with updated optics and a slightly different design? Possibly, but I'm not convinced. When it comes to the 8th and 9th lenses on our list, the Canon EF 200mm f/2.8L II USM and EF 180mm f/3.5L USM Macro, respectively, I am not sure there is enough demand to justify expecting an update for either of these lenses, although adding IS to both would make them much more attractive to some. What is certain is that the 180L Macro has significant room for improvement, as it can't match its 100mm little brother's image quality, it doesn't include the coveted IS feature, it is not weather sealed and its AF speed leaves a lot to be desired. At the #10 spot we find the Canon EF 135mm f/2L USM, a favorite of portrait photographers since its introduction. While Sigma certainly designed the 135mm f/1.8 DG HSM Art lens to compete strongly with the Canon 135L, by not including stabilization, they left the door wide open for Canon to take back the must-have-135mm-lens crown. Update the optics, add IS and weather sealing and this lens will immediately hit the "best seller" list with its perfect-for-portraiture specs. What do you think will happen to the lenses on this list? Are there desirable feature updates that I didn't mention? Let us know in the comments!